Sydney United 58 FC continued its fabulous start to the season with a come-from-behind win over South Coast Wolves at the picturesque John Crehan Park on a balmy evening in beautiful Cringila. The 2-1 final result sees the side lead the way on the league ladder, matched only by rivals the high-flying Bonnyrigg White Eagles. A minutes silence preceded the match and was impeccably respected after the passing of one of South Coasts life members in a fitting tribute. Michael Robinson was adjudged to have brought down United 58 skipper Luka Glavas on the edge of the box in the 1′ minute, from a ball given away by Chris Price, and the cleverly taken free-kick by Chris Triantis saw a shot bravely blocked by the Wolves’ Chris Price before clearing at the second at the second attempt. Glavas blocked the ball as Jacob Timpano attempted to clear, driving the ball into the penalty-area with defender Jack Keating making a last ditch tackle to cancel out any danger. The resultant corner ended up at the back stick to be picked up by Robert Mileski to fire over a cross for Ben Jurman to head back across the face and narrowly wide of the mark. Against the run of play and Wolves found themselves ahead when a Ricky Zucco cross from out on the left side of the field eluded Marko Bozic in the United 58 net and nestled into the top corner. Wolves one up in bizzare fashion. United 58 had another corner headed over the bar as they sought parity and pressed high and quickly up the field, not allowing South Coast to settle and find their rhythm. When Yuchi Yamuchi, having switched flanks with Mileski, skipped past Price in the area the Wolves man went down awkwardly, however the Sydney United 58 midfielder pulled the ball back for Keating to again arrive first as Price received treatment behind the goal. Collison was called into action after a goalmouth scramble when making a fine stop as the visitors pushed the home side further back as Price could no longer continue and was replaced by Sam Chapple in the 27′ minute. The quick passing and mobility of the visitors was at times breathtaking and Yamuchi was certainly enjoying himself down the Sydney right flank having first seen off Price and then giving Chapple a quick lesson in what to expect for the remainder of the game. The Japanese import then almost got through once more but this time it was Zac Mackenzie who cleared. A succession of corners was to follow for the visitors until Collison caught the ball and released a sharp ball resulting in Zucco turning on a sixpence and firing in a curling effort in the 31′ minute that had Bozic back-peddling to reach and tip over. The ‘keepers reactions the difference in stopping the lead being extended. Mileski had a shot beaten down by Collison in the 39′ minute as United 58 made all the running with the Wolves resolutely defending and holding on with only sporadic breaks on the counter to relieve the pressure. Mitchell Del Turco then found the net, sending the home supporters into hysterics, though the strike was ruled out for offside with 40′ minutes on the clock. Triantis was played in by Glavas in the 43′ minute but looked to have blown the chance when Mackenzie intercepted only for the United 58 striker to hit the ball when on the ground, again sending the ball narrowly beyond the post. In first-half stoppage time Timpano had the ball in the net only for a second strike to be ruled out for the home side – the Wolves captain pulled up for pushing on Bozic in the 58 goal with the score remaining one-nil at the break. Jack Keating was called into action almost immediately upon the resumption and once more handled a dangerous situation with aplomb before Collison was forced to tip another long range effort over the bar as the Edensor Park boys piled on the pressure. Collison punched away a corner in the 50′ minute that reached only as far as Glen Trifiro but the ball would not come down quickly enough and his snatched shot lacked power and direction as another chance went begging for the visitors. The pressure finally told when Keating was adjudged to have committed a foul inside the box, receiving a caution but, more importantly, giving away a penalty that Luka Glavas slid home forcibly in the 53′ minute to level the scores and once more it was game on. Zucco fired over at full stretch when under heavy pressure from two United 58 defenders as the home team countered and the ebb and flow of the contest continued unabated. The same player received two yellow cards in quick succession, the second for a foul on Jurman and received his marching orders in a somewhat harsh fashion as he competed for the ball but South Coast would have to see out the remaining 26′ minutes with just 10-men. It was the Wolves who found themselves behind when Mirjan Pavlovic thundered a shot into the roof of the net for the visitors with 68′ minutes on the clock, the home side caught cold after the send-off. United 58 thought they had further extended the lead when Mitchell Stamatellis fired home from close range but the Assistant Referee flagged. After consultation referee Adam Weir chalked it off, a decision that earned Pavlovic a caution for his comments in the 75′ minute. Joseph Lavalle ploughed a lonely furrow up field for the Wolves and a long range effort at least warmed the hands of Bozic at full stretch and the ‘keeper needed to be down sharply to save at the feet of Sam Matthews seconds later after being played into trouble by his defence. Deep into stoppage time and a goalmouth scramble had a Timpano shot cleared off the United 58 line as the Wolves tried hard to level up once more. It wasn’t to be however, as a goal was not forthcoming. Quietly spoken Wolves coach Richard Lloyd commented after the game: “In the end we just couldn’t hold it out with the ten men but we were up against some fair quality opposition tonight. “We are a few yards shy against one of the top teams but we gave it our best shot but we’ll stick to our plans and remain positive. “It always is down here with the pitch and the way things are. “It’s not easy as we want to play a certain way and keep the ball on the deck and with the sand on the pitch and that it’s not always easy to play your game and again we have had to fight our way to the three points. “We went behind again and people can look at our ‘keeper (Marko Bozic) but he is only 18-years old and of course will make mistakes, we all do but I brought him to the club to do a job and he will learn from things like this. “I’m really pleased with the things we did, down at half-time and we changed a couple of little things and the players went out and did it and I very big on having intelligent footballers and that showed out there tonight as we battle through the hardships and showed persistence and pressure and it paid off. A red hot Bonnyrigg White Eagles fought back from a goal down to defeat Central Coast Mariners Academy by an emphatic 5-1 scoreline at Bonnyrigg Sports Club on Saturday night. Last season’s golden boot winner Robbie Younis was the hero of the day as he bagged himself a four goal haul while Alex Mansueto also grabbed a vital goal to put Bonnyrigg in front after Chris Payne had opened the scoring against his former club. It was a game of two halves in every sense of the word as the visitors produced an impressive first-half performance to take the lead only to concede an unfortunate penalty which was duly converted by Younis shortly before the break. Bonnyrigg then went on to take control of the match in the second half with four well taken goals; a harsh juxtaposition against the Mariners Academy’s second half form at the other end as they squandered a couple of opportunities that could have turned the match in their favour. The match will be a learning curve for Mark Jones’ men after their third appearance in the IGA National Premier League NSW Mens 1 competition ended in a fairly severe scoreline while Bonnyigg look to be in fine form as they deservedly notched up their third win of the season to keep themselves at the top of the table. After moving the ball around well throughout the opening minutes the hosts soon had the ball in the back of the net only to see Younis’ Maradona-esque finish correctly ruled out for handball. Jamie Lobb has brought down Mitch Long as he darted toward the corner of the 18-yard box; Chris Tadrosse’s ensuing free kick was flicked on by Long to Younis who wound back the clock to the 1986 World Cup to produce his best Hand of God impersonation to turn the ball into the net and receive a booking for his troubles. Brady Smith gave his side a scare soon after as his angled backpass drew a crucial sliding clearance from goalkeeper Jordan Nikolovski with Alex Canak steaming in to attempt to score via an interception. Mariners Academy began to settle into the match and string their passes together in the Bonnyrigg half to test out their opposition. At the other end Long went on one of his trademark darting runs as he skipped past a number of challenges before a crucial Scott Pettit challenge brought an end to Long’s mazy run. The visitors were able to carve out a few chances of their own soon after as James Monie capped off a swift counter attack by grazing the far post with a driven 25-yard effort while Pettit also had a dig from range, drawing a comfortable save from Matthew Nash with his effort from the edge of the box. Mariners Academy continued to grow in confidence across the park were soon rewarded for their efforts when Payne returned to haunt his former employers when he caught the Bonnyrigg defence napping before finishing with a cheeky lob to catch Matthew Nash off guard and open the scoring. Payne nearly found his way through on goal soon after as he took on the Bonnyrigg backline only to be halted by a vital last ditch challenge by Ben Spruce. Bonnyrigg then burst back into life as they created a number of chances in quick succession. First Tadrosse cut inside his marker to find space to fire a curled effort over Nikolovski only to hit the top of the crossbar as his shot dipped late. Adrian Ucchino also tested Nikolovski with a powerful long range strike before Long couldn’t find the right angle as he headed Mansueto’s dangerous cross wide of the near post. Younis put his quick footwork to use soon after as he skipped past Daniel Bragg and Brady Smith only to run into Lobb’s perfectly timed sliding challenge which prevented a golden opportunity for last season’s golden boot winner. The hosts finally cracked Mariners Academy’s stubborn backline when Canak’s threaded pass put Long into the box; Long’s attempted cross struck the trailing arm of Crowell giving referee Kevin Peddie no choice but to point to the spot. The ever-reliable Younis stepped up to send Nikolovski the wrong way and bury the penalty, drawing his side level with the half time break looming. The interval did little to dampen the host’s momentum as they pressed forward from the restart in search of the lead. Brian Brown’s men did not have to wait long to find the goal they craved; a Tadrosse corner was re-centred by Long at the far post, allowing Mansueto the half chance he needed to turn the ball into the net from close range with a clinical finish. The visitors came within inches of finding an equaliser around the hour mark when Monie chested a cross into Pettit’s path; the winger’s first time effort had Nash beaten yet struck the base of the post before deflecting wide. Mariners Academy were instantly punished for the miss when Bonnyrigg earned themselves a two goal buffer on the next counterattack. Bo Hyun Chun was afforded acres of space on the left flank, giving the midfielder enough time to pick out the unmarked Younis at the far post who finished with a powerful placed header to send the home fans into frenzy. Payne almost pulled a goal back minutes later when Monie pressured Spruce into coughing up possession on the edge of his own box; under the close attention of his markers Payne was able to buy himself half a yard of space with a few consecutive sharp turns only to see his final deflected shot acrobatically tipped away by Nash who showed great reflexes to keep the effort out. The visitors continued to press forward in search of a route back into the match with Monie awkwardly heading wide under pressure from Nikola Zonjic. In pressing numbers forward Mariners Academy were left exposed at the back as substitute Tynan Diaz darted clear down the right flank before finding Younis in the box once again. The in-form striker took full advantage, heading against the cross to beat Nikolovski once again to secure his hattrick. Despite the job appearing finished Younis wasn’t quite done as he gave the fans had barely enough time to return to their seats before netting his fourth and Bonnyrigg’s fifth with an opportunistic finish from inside the box. With the win secured Brown withdrew both of his goalscorers, allowing Younis and the injured Mansueto leave the field to a standing ovation from the home fans. While both sides picked away at each other in the closing stages the scores remained the same as the hosts claimed all three points and maintained their place at the top of the table with three wins from three. “I think it was always going to be a little bit of a danger game after winning our first two,” said Brown. “We really highlighted to the guys this week that this would be a tough game, and it was. “Credit to the Mariners (Academy); they worked hard and made it really difficult for us. “It was one of those games where they probably could have had another three goals, but we probably could have had another six goals – that was how it looked to me anyway. “I’m very happy, we’ve gone the first three games with wins, scored eleven, and conceded only three which is a great start. “He was our foundation, from a goalscoring point of view, he was the main thing for us last year,” said Brown. “He’s just got an amazing knack and an amazing gift to score. “If you keep giving Robbie chances he’ll score, he doesn’t miss much. “It was an excellent first 45’ minutes,” said Jones. “A tough penalty 5’ minutes before half-time, but I was reasonably happy with that and we obviously didn’t take some opportunities. “I guess I would have expected to be at least an extra goal up at half-time. “In the second-half we were just naïve, still trying to play football we turned the ball over in some poor areas and it cost us big time as you saw and we didn’t take our opportunities. “At 2-1 down we hit the post and it goes up the other end – those things turn games when you don’t take your opportunities and being naïve defensively you get punished. “Because we’re trying to play football and trying to play out from the back we’re going to make mistakes, but we need to eliminate that at training so that it doesn’t happen here,” said Jones. “Although 5-1 is an unjust scoreline it’s a lesson to them and one they need to learn from. “We did quite well in patches but let ourselves down with some really silly mistakes – we’ll work on that. “At half-time I was extremely happy and we went from being extremely happy to extremely disappointed. “I guess if you can play 45’ minutes decent there’s no reason why you can’t play 90’ minutes decent. Lambert Park played host on a very hot autumn Sunday afternoon to the encounter between APIA-Leichhardt Tigers and the Central Coast Mariners Academy in round 2 of the IGA NSW National Pmier Leagues Mens 1 which ended in a 1-1 draw. The game itself, stifled somewhat by the unusual heat wave conditions, was rightly forced into a drinks bak for the players at the half way mark of each half of play. It was little but all that could be done to alleviate the pain for the courageous player and fees. In the 14’ minute Sean Symons dangerously ented the penalty box but finished off the move with a shot from an acute angle that hit the side netting. It was the early signal that the Tigers supporters we waiting for to indicate that their team was in the game. However, that would be an injustice because the Mariners Academy dominated play in the first-half after that. The Mariners Academy hit back almost immediately when Daniel Bragg set up Scott Pettit but his shot was weak and Ryan Norval had no trouble making the save. James Monie, the veteran striker and against his former club, found himself with only Norval to beat but unfortunately for the Central Coast the Tigers’ goalkeeper was up to the challenge and pulled off a good flex save. In the 26’ minute Nikola Taneski should have done better with his final shot which curled just wide of the post after he had ceived a nice through ball. In the 38’ minute Central Coast Mariners Academy opened the scoring with a sublime goal. Tomislav Cirjak delightfully found Christopher Payne and the former Sydney FC player chipped beautifully to find the back of the net. Early in the second-half Nikola Taneski brought the Tigers back into the game with a nice goal. After ceiving an accurate through ball, Taneski majestically turned it into the bottom right hand corner of the net. APIA-Leichhardt should have been two up when Stephen Kayes unleashed a rocket from outside the box that Jordan Nikolovski superbly turned over the crossbar for a corner. It was the 57’ minute and it was game on for all concerned. In the 77’ minute Bragg was brought down just outside the box and for the visitors it could have been a golden chance had Payne not fid the fe-kick over the crossbar. Late in the game Scott Petitt from close range forced Norval into another gat save but in the end a draw was a fair sult for teams – the Mariners dominated the first half and the Tigers we marginal winners in the second half. The winner on the day was the heat which had a major influence on proceedings. “We started the game without Michael West the captain, without Mark Byrnes probably our best player, without Adel [El Jamal] who got sent off last week, so that was the out of our back four missing,” he said. “It’s tough to mix it around and in today’s squad of 16 we had nine boys who we 21 or under, so it was a learning curve. “I’ve blooded the boys who played in the firsts today; when you think of Brad [Bartels] who is 20, George Khoury who is 20, Nick Taneski who just had his 19th birthday and Bndan Reilly who is 21, plus the two boys who came on [Adam Raciti and Simon Ward] a both 18. “I am happy that we scod and we dominated after that for the next 20’-25’ minutes so we ally should have done better than just getting a draw. “I’ll take a draw if it gets us going and especially with an inexperienced and young side, but I still think we should have won the game. “Next week we have Sutherland who a good side. In the p-season cup we dw 2-2 with them. “I think we’ll improve because I still go over the Bonnyrigg game from last week and think of the penalty we missed and after we did sco, one minute later we had a player sent off. “I was a little frustrated because I thought that in the first-half we obviously completely dominated and we probably had 70% of possession,” he said. “We just had chance after chance after chance but we only took one. We we 1-0 at halftime and sometimes away from home you think that’s good but it wasn’t good today. “For 15’-20’ minutes in the second-half we sat a little too deep and the young boys started to feel a bit sorry for themselves and we put ourselves under pssu when they scod a goal. “The heat I think allowed some of our boys to check their fitness, so we need to keep working on that even though this was extme heat. I was a little disappointed that a couple of boys didn’t have enough in them to last the full game. “We like to finish mid table, we’d like to compete but most of all we’d like to play football. APIA-Leichhardt Tigers: 1.Ryan Norval; 4.Bndan Reilly, 7.Stephen Kayes, 8.David D’Apuzzo, 9.Gerard Ouffoue (36.Simon Ward 85’), 10.Franco Parisi, 12.Keith Shevlin, 14.George Khoury (24.Nicola Rizzo 56’), 15.Brad Bartels, 16.Sean Symons (19.Adam Raciti 74’), 18.Nikola Taneski.  Central Coast Mariners Academy: 1.Jordan Nikolovski; 3.Jamie Lobb, 4.Adam Jenner, 5.Brady Smith, 6.Christopher Payne, 7.Scott Petitt, 8.Daniel Bragg, 9.James Monie (11.Louis Bozanic 63’), 24.Nathan Verity (16.Jed Prater 74’), 26.Ridge Mapu, 29.Tomislav Cirjak (15.Dillon Vorster 60’). Bonnyrigg White Eagles made it two wins from two with another fine showing in the 3-0 defeat of Blacktown Spartans at Bonnyrigg Sports Centre on Saturday night. Indeed it was the home side who were out of the blocks the quickest when inside the opening minute Nikola Zonjic was fouled outside the box. The resulting free-kick placed to the back stick was headed clear by Tyson Rhodes in a clear statement of intent to the visitors. Resolute defending was the order of the day for the Spartans in the opening exchanges as they were pinned back on the edge of their area, however they are made of sterner stuff this season and looked solid at the back. Bonnyrigg playing their customary expansive football by switching the point of attack through quick passing and switching wings, creating a few half-chances in the process, though not capitalised upon as they probed for a telling opening. The home side was however almost caught undone with the quick ball over the top a couple of times, something they quickly adapted to in order to curb the danger. Rhodes headed goalward in the 14′ minute for Blacktown but the effort lacked power and was easily grasped by Matthew Nash between the sticks. The White Eagles responded seconds later with a Mitchell long effort that Spartans goalkeeper Luke Turnbull saved at point-blank range as the game began to open up as each side began to carve out clear-cut chances. Spartans had Turnbull under the posts as skipper Carlos Saliadarre was on the bench for the Western Sydney Wanderers in their 1-1 derby clash against Sydney FC on the same night. Zonjic was being hassled at the back by Blacktown’s Andre Carle yet managed to come out on top in an intriguing contest, both sides opting to play through the middle and flanks instead of resorting to the long ball game. Alex Canak received the first caution of the match in the 29′ minute for simulation inside the box much to the consternation of the crowd. Greg Kondek soon followed for the Spartans with a misstimed tackle that looked worse than it was, although there was definitely a little needle creeping into the game in a hard but fair encounter. It came down to Chris Tadrosse to open the scoring for Bonnyrigg in the 36′ minute when latching onto a loose ball and steering it home inside the far post. For all the pomp and swagger Bonnyrigg only went to the break by the odd goal in a game that always looked likely to need more than a solitary strike to decide it. As the visiting Blacktown Spartans showed they were not about to lie down and be rolled with, the Rhodes boys, Tyson and Brenton, working hard at the heart of the defence alongside Luka Dukic and Nathan Millgate. Though neither truly hit their straps, it had been a fierce contest to the break with the home side just about worth their lead with neither goalkeeper really forced into too much work during the opening 45′ minutes. Blacktown threw caution to the wind on the resumption with an entertaining style of attacking football that left them susceptible at the back, Turnbull twice forced to block strongly. However, they were undone after good work down the Bonnyrigg left saw the ball fall invitingly for Robbie Younis to head back across the shot-stopper and into the net as the home side extended its lead. Mitch Long almost extended it further 2′ minutes later but for the timely intervention off Brenton Rhodes was a last ditch tackle that took the ball around the post with the Spartans well-and-truly under the pump. Adrian Ucchino, a terrific find by Bonnyrigg last season, lashed a curling shot wide of the far post from an acute angle as again the visitors found themselves camped in their own box – Turnbull once more called into making a fine save as they buckled but refused to succumb to the pressure. Carle threatened sporadically for Blacktown with long-range efforts that Nash dealt with easily, as slowly but surely Bonnyrigg starved them of chances and relentlessly pressed home their advantage. It was the home side who were to have the final word when substitute Aaron Peterson slipped through the defence to put the icing on the cake for Bonnyrigg. Peterson sent a shot across the hapless Turnbull, in off the post, to make it three on the night with a little over 6′ minutes remaining. It was almost worse for the Spartans when Ucchino lashed a shot that Turnbull was able to send around the post in the final minute with the resulting corner amounting to nothing. “I felt we dominated the game from start to finish to be honest and on another day we could have scored maybe five or six. “In fairness to Blacktown I think they set out to make things hard for us and they did for a little while but when we got the first goal it changed the complexion of the game. “We knew it would be a tough test. If I am being honest I felt that was the worst game we have played against Bonnyrigg. “We’ve played better and still copped goals but we were not good at all tonight and I don’t feel we could string two passes together the whole game. Bonnyrigg may not have been at their fluent best at times but it was enough when showing their resilience and guile to get them over the line with more than a little to spare. Well decorated Rockdale City Suns coach Branko Culina will this Sunday evening reunite with his former club Sydney United 58 at Jensen Park in what will be the ‘Match of the Round’ in round 2 of the IGA NSW National Premier Leagues Mens 1 competition. Culina will be hoping that his troops pull together after a disappointing 2-0 loss to Blacktown City FC in round 1 while Rudan will be looking for another three points as the Reds started off the year on a bang with a hard fought 1-0 victory over Manly United at Cromer Park. In what will be an intriguing battle on the field, off the field, Culina will be coaching against his former pupil and captain he once had during his time with the Reds. Branko was the head coach of Sydney United 58 from 1994 till 1997 where he picked up the Minor Premiership and reached the Grand Final in the 1996-1997 season as well as winning the Waratah Cup in 1995 and 1996. He then returned to the club in 2001 where he spent a further two seasons where Rudan captained one of his side’s. Football NSW Media Manager Mark Stavroulakis caught up with both coaches and asked them their thoughts on playing against each other this weekend, their form, their tip on who will take out the Hyundai A-League Sydney-derby and whether Jason Culina will be playing in a Suns strip this year.